Explore the North of Buenos Aires on this 4-hour bike trip. Visit Recoleta Cemetery, Avenida del Libertador, and the Bosques de Palermo. Enjoy a maté with some bizcochitos biscuits in this peaceful wooded area before resuming your ride. 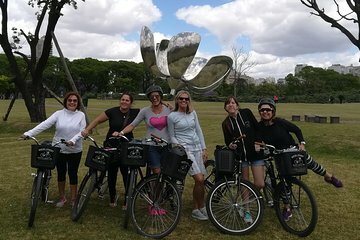 Bike through chic Palermo Soho, passing cafés, boutiques, bars, and design shops. This relaxed tour takes you to some of the city’s most scenic spots.